The adults are 7 to10 millimetres long. The prominent eyes and the legs are reddish brown. The brown or yellowish antennae are forward-pointing, with a hairy 3rd segment and a whitish arista. The dark grey wings are mottled by many greyish spots and with a blackish border. Often found in damp areas. It may also be encountered in grasslands and woodlands, feeding on nectar or sipping dew. Late May until September or October peaking in August. Larvae prey on terrestrial snails. The Asilidae are the robber fly family, also called assassin flies. They are powerfully built, bristly flies with short, sharp, stout sucking mouthparts. 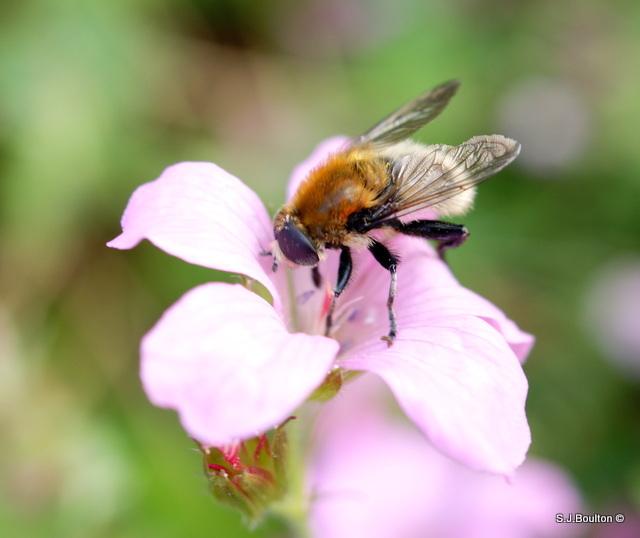 The adults grow up to 8–10 millimetres (0.31–0.39 in) long and can mostly be encountered from April through August in moist forests and meadows, feeding on nectar of flowers . 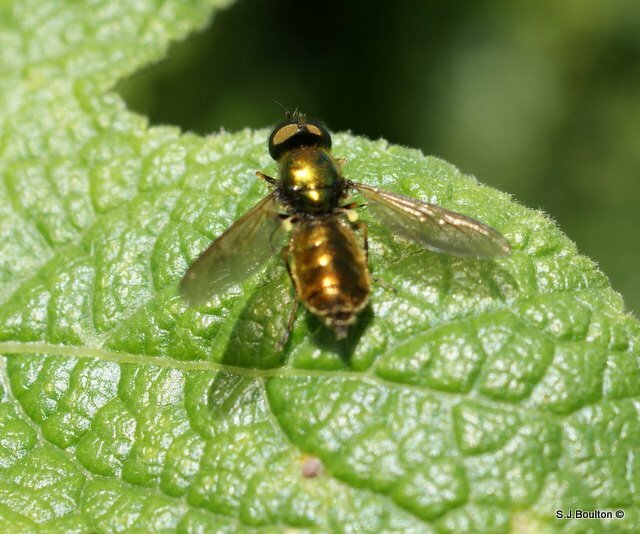 Their body is elongated, the thorax is metallic green, the head is hemispherical without hair, while the eyes are quite hairy. Antennae are short, the first antennal segment is longer than the second. The legs are black, only the knees are yellow. 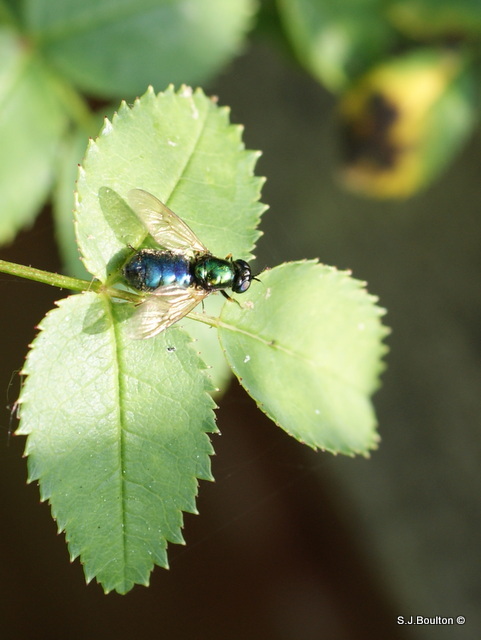 The abdomen is flattened and broad, blue-green in females, with a copper-green sheen in males. 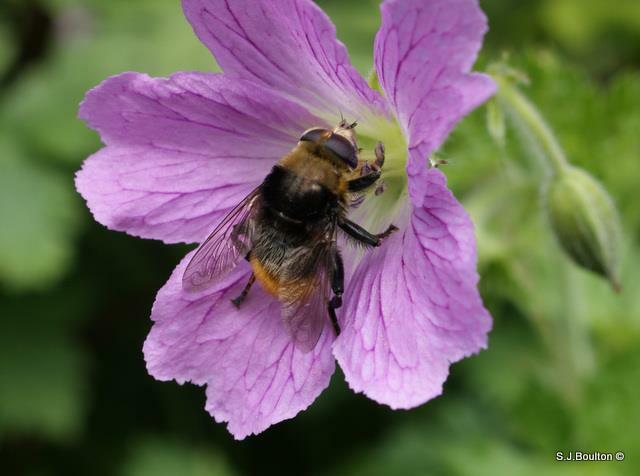 The wings are yellowish-brown. The larvae develop in humus-rich soil, feeding on dead leaves and other decaying vegetal substances. 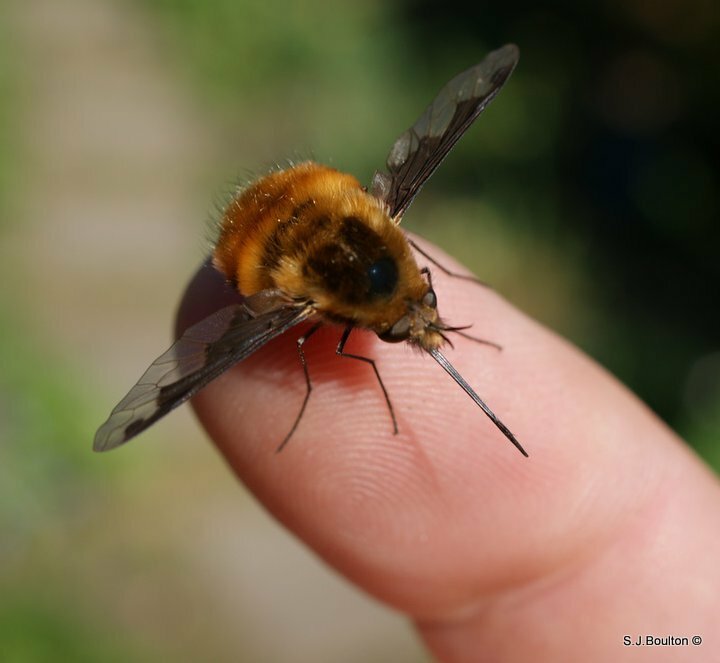 The Large Bee-fly, Bombylius major, is a Bee mimic. 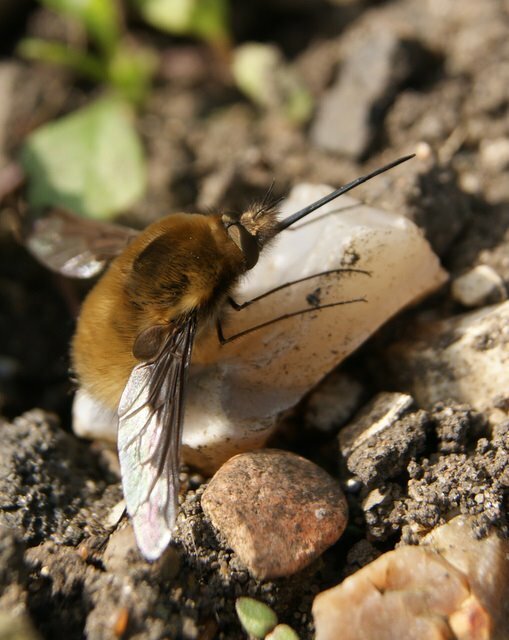 The eggs are flicked by the adult female toward the entrance of the underground nests of solitary bees and wasps. After hatching, the larvae find their way into the nests to feed on the grubs.